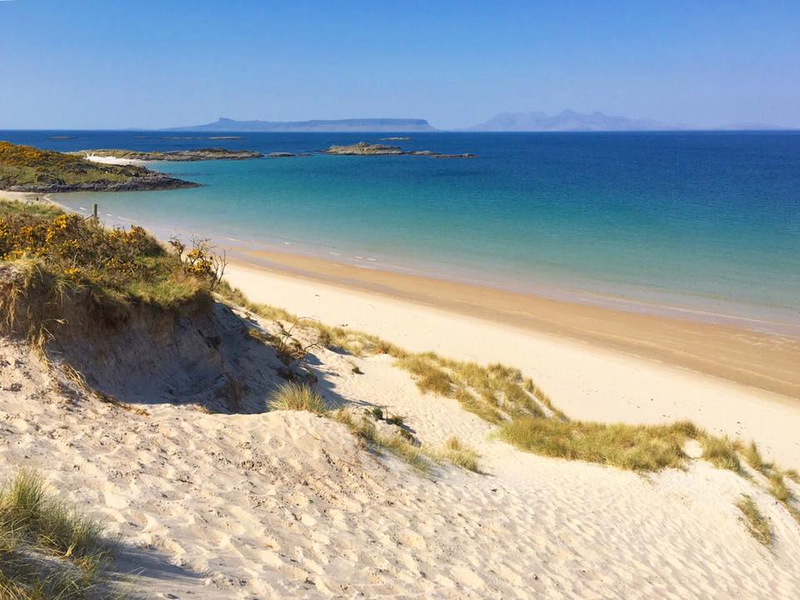 Anybody who has visited Arisaig will have undoubtedly, on at least one occasion, stood stock still in awestricken amazement at the distinctive outlines of the Small Isles on the horizon. This view, where the Sgurr of Eigg and the Pacific island-like peaks of Rum rear up out of the Atlantic from nowhere, bring thousands of people to Arisaig every year, and no wonder, it is spectacular! While the majority of visitors to the area are content with enjoying the island view from the mainland, we highly recommend venturing over to the Small Isles for a few days, but if you’re short on time a daytrip is the perfect way to have yourself a little snapshot of island life. 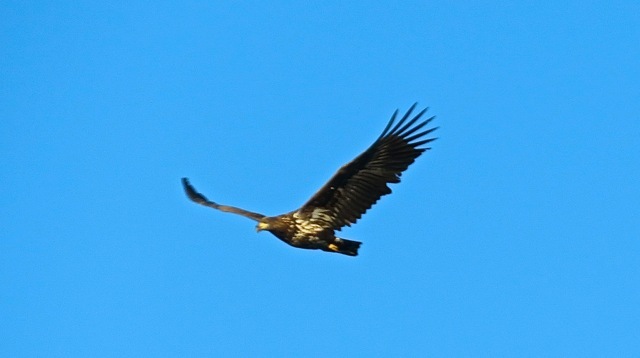 The trip takes approximately seven hours and makes for an ideal way to spend a day on the west coast. 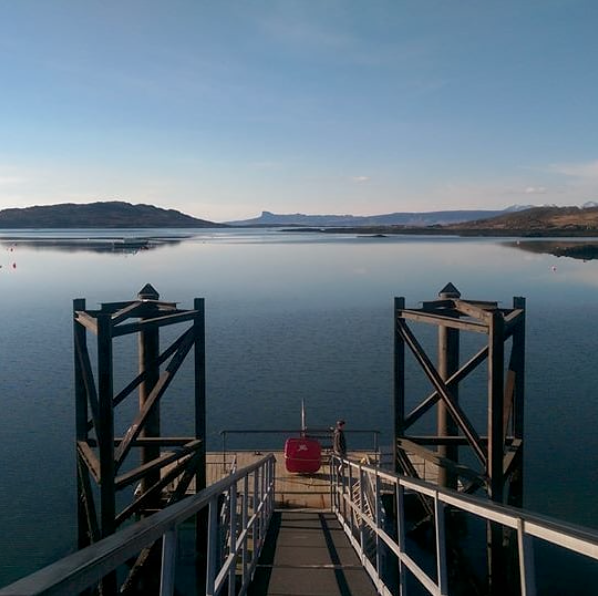 Just across the road from the hotel and only a ten minute walk from the train station, you’ll find Arisaig Marina. The marina is a hive of activity throughout the summer months with both commercial fishing boats and yachts anchoring in the bay. For day trippers to the islands, there’s ample car parking as well as toilet facilities, a great teashop, a well-stocked giftshop and the harbour office where island hoppers can purchase tickets to the island/s of their choice (adults from £18 & children from £10). 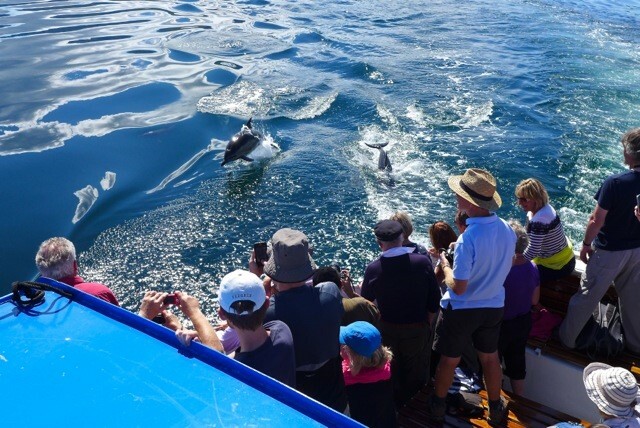 The Sheerwater passenger ferry operates wildlife cruises to the Small Isles from 29th April – 20th September 2019 and we would stress the importance of reserving tickets in advance to avoid disappointment on the day. Reserved tickets are held at the harbour office until 10.30am where island hoppers are guided to the pier to board the ferry in time for the 11am sailing. Once onboard, passengers can fully relax and enjoy the ten mile trip knowing that they are in the knowledgeable, capable and safe hands of Sheerwater Skipper and local legend, Ronnie Dyer! 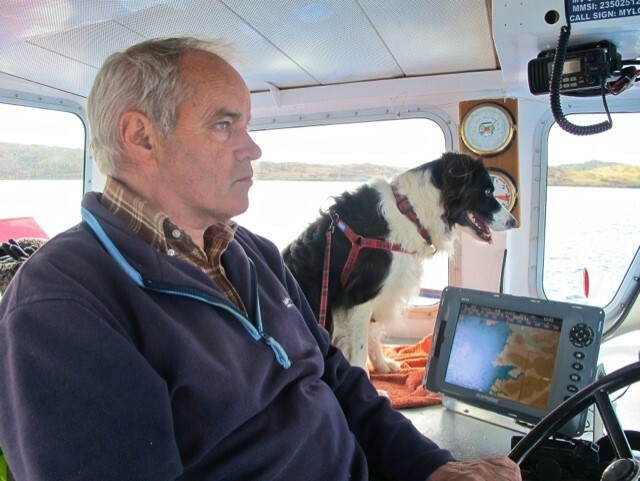 Ronnie has decades worth of experience in the waters surrounding Arisaig and the Small Isles and if there’s exciting wildlife hiding along the way you can guarantee Ronnie will sniff it out! 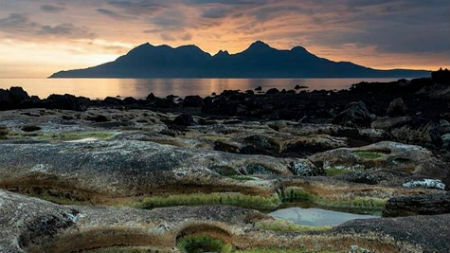 The waters between Arisaig and the Small Isles are peppered with tiny uninhabited islands, which offer a safe haven for wildlife of all shapes and sizes. Otters, seals and innumerable rare birds such as sea eagles, manx shearwaters, puffins, sandwich terns, storm petrels and great skuas call this territory home and below the crystal clear Atlantic waters there’s even more going on! 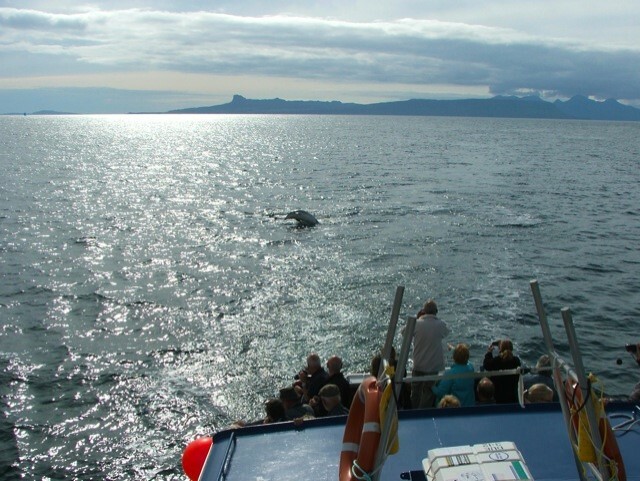 Look out for dolphins, porpoises, minke whales, basking sharks and even killer whales as they frolic and feed. Although we can’t guarantee abundant wildlife sightings, passengers would have to be incredibly unlucky not to see any of the above over the summer months and Skipper Ronnie, will always try his best to detour if any interesting wildlife is spotted on the horizon. Passengers can choose between spending five hours exploring Eigg or they can enjoy a half hour coffee break at one of the island’s great cafes, before hopping back onboard the Sheerwater where it’s full steam ahead to either Rum or Muck. 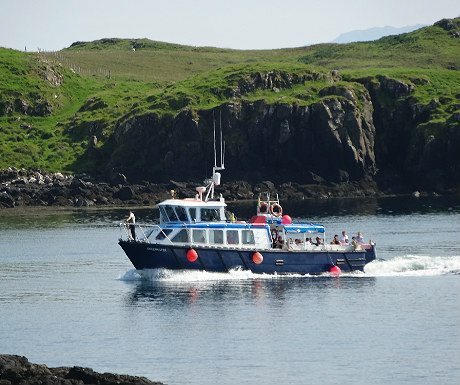 Island hoppers will then spend 2.5 hours on Rum or Muck before heading back to Arisaig, where passengers conveniently arrive just in time for the hotel’s 5.30pm dinner service! Keep your eyes peeled for future blogs, where we’ll take a closer look at each of the Small Isles.